Everyday Fray: From A - Magic! 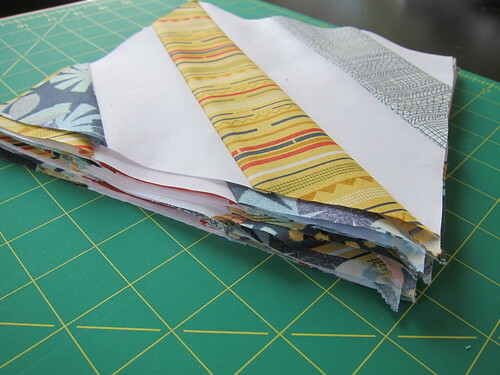 While trying to stick to my "shop the stash" mantra, I pulled a couple of Jelly Rolls off of the shelf last week and tried to figure out what they were going to become. 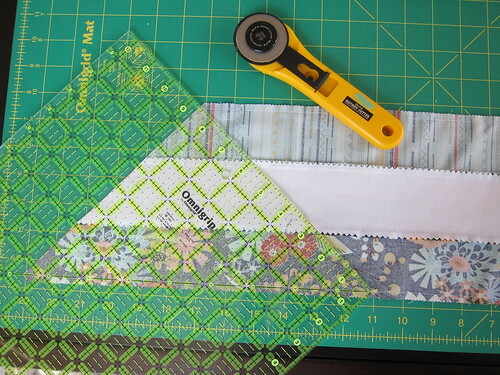 Now I know that pre-cuts are generally looked down upon by "real" quilters but the truth is that when I was first starting out with the whole quilting thing, I bought a lot of them. They made quilting seem easy and manageable. 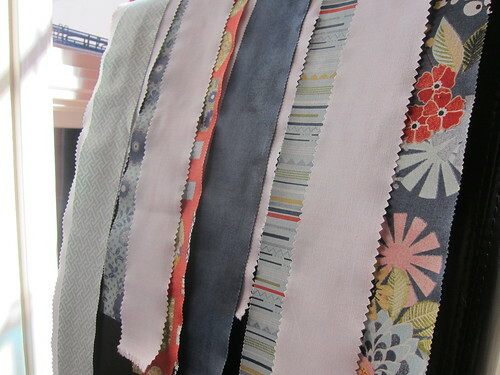 I knew that the fabrics would look nice together when shopping online and it was an easy way to own a small piece of every print from a line that I loved. In my search for a destination for these jellies, I stumbled on this video tutorial that I am sure that I pinned at some point (I never remember to check Pinterest...must work on that.) A bit more searching and I found actual written instructions for the same block which are much more detailed if that's your thing. Honestly though, I prefer the video as I too want to make a "darling, darling" quilt! 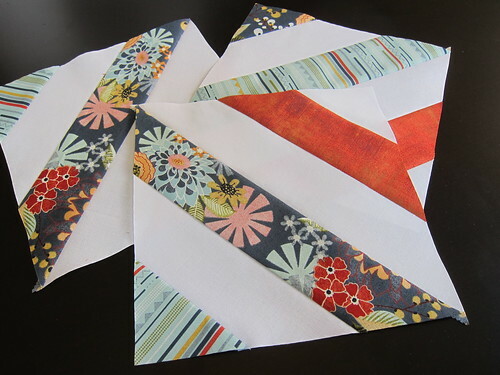 and ended up with perfect (and darling) string quilt blocks. A little bit more cutting this morning, gave me a healthy stack of perfect little blocks. Hi, I'm coming to you from WIP. I like strips, and I like what you've done with yours. I've seen that tube-cutting technique--nice! I made a strip tube quilt once too and it was so fast and easy! Love this! And definitely "darling"! Can't wait to see it all together Amanda! Love that collection- I have a layer cake of it myself. Can't wait to see this when it's done. BTW, you are not alone on forgetting to check Pinterest...I have boards of wonderful quilty goodness pinned and almost never check them! This is totally darling! I love your "shop the stash" mantra, I need to start doing that more. Thanks for the link to the written pattern. I like them to go along with the videos. Quilting Quickly is a magazine that has printed directions of some of Missouri Star Co.'s video tutorials. I look forward to varying the placement of the solids for different looks.